If you are anything like me, then you love toss pillows! Toss pillows are an easy and inexpensive way to completely change the look of your room. A few years ago, I invested in all down toss pillow inserts which don’t lose their shape as easily as poly-fill pillows and hold up better to the continual abuse of two little boys and two dogs. I am always on the lookout for inexpensive pillow covers to change the look of my pillows for the seasons. So why not spread the love and share my findings with all of you, right?! 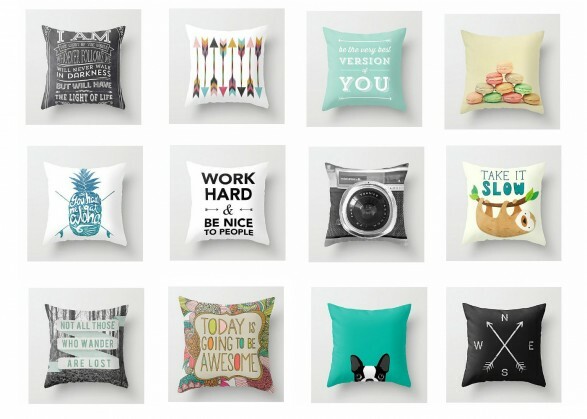 Below, I have curated a collection of inexpensive toss pillows found on Amazon affiliate. Some of the pillows below are just the pillow covers and some of them come with the pillow. Be sure to read the descriptions thoroughly to be sure what the price includes. The prices range from around $5-$50 but most of the toss pillows, or pillow covers are under $20. Nice! Let’s go shopping!